Congratulations to Mt. 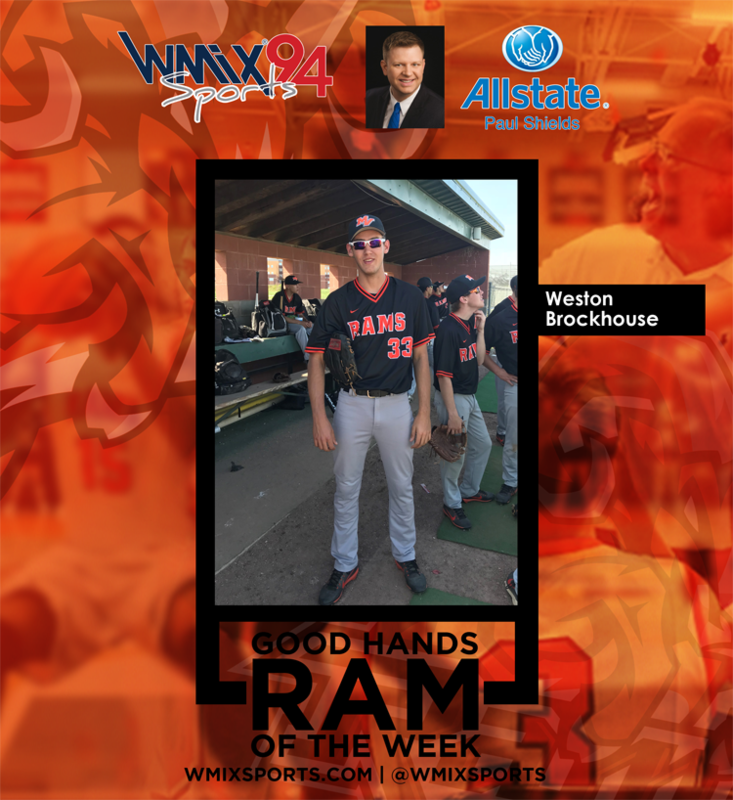 Vernon Rams Baseball’s Weston Brockhouse! The junior pitcher tossed a complete game shutout in a crucial conference win at Carbondale. Brockhouse had 5 strikeouts and only 2 walks in the process.